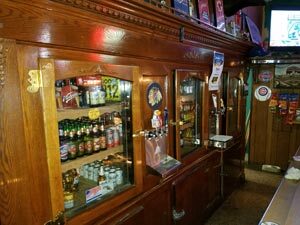 Citywide has been around for over 30 years serving Chicago as a family owned and operated business. We offer services in installation and repair for furnace, boiler, and A/C to residential and commercial customers. We are certified heating and air conditioning technicians to help you with any preventative maintenance, repairs, and new installations. 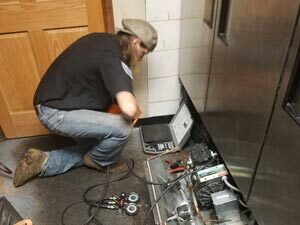 Citywide services HVAC to restaurants, supermarkets, or any type of business. We will repair your refrigeration, heating and or cooling systems. Citywide will service all your HVAC needs so you can focus on your business. Citywide will keep your existing refrigeration and HVAC systems running; with repairs when necessary with our preventative maintenance program that allows you to avoid those costly headaches you just don’t need. We install and repair walk-in coolers, walk-in freezers and restaurant equipment. We have both new and used equipment available. Please contact us with any questions you might have. Citywide recently received a service call to the home of President of the United States of America here in Chicago. We were called in to do a repair to the server room’s A/C system at the Chicago’s south-side Hyde Park neighborhood home. We wanted to share this service call with our customers because we want our customers to know we can pass the secret service screening to work at the President’s house, and we know that it shows us that we are trusted, reliable and the top Chicago experts in HVAC! Since 1966 we have been designing and repairing equipment that others will not. We offer only the highest quality systems. Correct design, installation, and maintenance of your custom centralized system helps maximize the return on your investment. We feature some of the finest, highest efficient systems in the industry. We service most makes and models and stock over 10,000 parts at our store. Our trucks go out with over 400 furnace parts for fast reliable repairs on those coldest winter days. It’s also so important to know that the air conditioning company you choose is an expert in their business. You are in good hands with a company that boasts over 40 years in the business of AC repair and cooling equipment. Citywide is your Chicago area HVAC parts store! 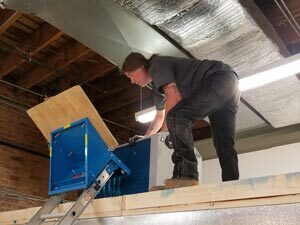 We cater to you whether you’re a professional home heating & cooling systems installer, or maintenance professional, or you’re a do-it-yourself-er with a big or not so big project on your hands. One thing we know you’ll need is quality, dependable heating and cooling parts at affordable prices. We an extensive Parts Department to help ensure you have everything you need to ensure your project is completely successfully. We stock 1000's of heating, A/C and refrigeration parts at contractor prices. We do not charge extra for after hour or weekend sales. We also offer delivery service of your parts right to your door. Citywide services all types of refrigeration, air conditioning, heat, exhaust/make-up systems, and ice machines regardless of size or location. Walk-ins, line freezers or coolers are not a problem and we are authorized to do warranty work for most manufacturers. 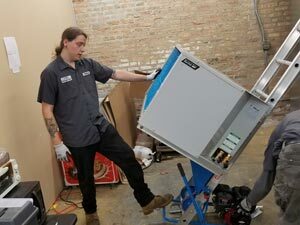 Ice machines and even specialized beverage equipment can be serviced as well. We have service trucks on the road specializing in commercial service. 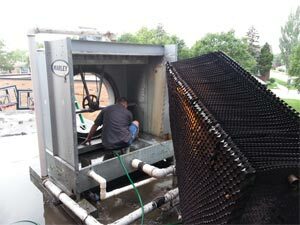 Citywide offers a heating and cooling maintenance and repair service for commercial, corporate, industrial, private, and state buildings. Citywide is located in Chicago, and we service all properties in the entire Chicago area. Our in-house staff of certified HVAC specialists ensures your work can be carried out by someone who know and appreciate the considerations regarding your building, systems and tenants. "Citywide quoted one of the lowest estimates for HVAC repair services and had a year of parts and labor included. This was a no-brainer decision." "I just wanted to say thanks! It's very rare in this area for HVAC contractors to show up promptly, keep their word, do superb work and charge a fair price."